Last month I had my 6-year old Goddaughter and her parents over for the weekend. I made them dinner, but needed a refreshing drink to go with it. Of course I didn't have any juice in the fridge since I don't really drink juice. Not wanting to make a run to the store, I searched the fridge for ingredients to make juice. Luckily, I found a bag of frozen blackberries and a few lemons. 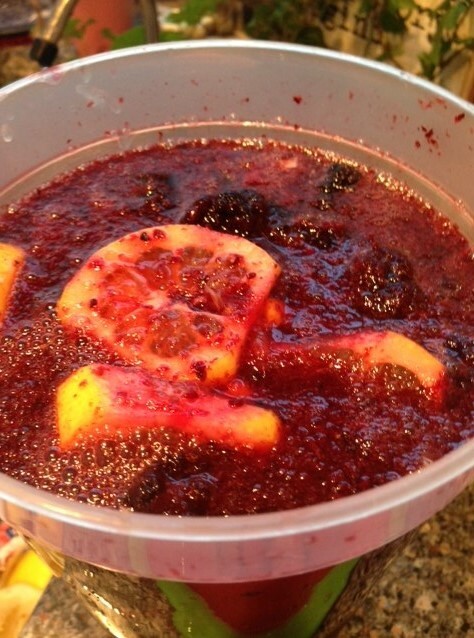 That is how my Simple Blackberry Lemonade was created! LOL! I have to laugh, because, honest to God, that was all it took. Everyone loved it! The following day, I found myself in the same predicament....My boyfriend and his friend were in the garage working on his car. It was a warm day and I knew they were dying from the heat so I decided to whip up another batch of the refreshing Simple Blackberry Lemonade. Once again, I received tons of compliments. At that point, I figured I might be onto something, however the final stamp of approval came a few weeks later when my Aunt was visiting from Mexico. We were relaxing and chatting about the blog, food and other general stuff we talk about when we get together. The topic of my Goddaughter's visit came up and my Aunt asked me about the "amazing" drink I had made. 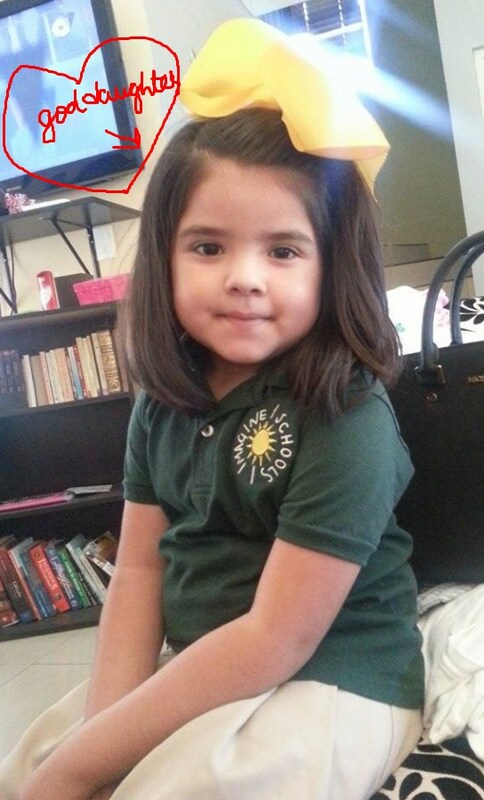 My Goddaughter's exact words to my Aunt were, "My Nina made me the best juice!" Let's just say that her compliment made my day...heck it made my whole week! At that point I was starting to think I should bottle this stuff! Instead I am sharing this recipe with you so you can enjoy this refreshingly simple drink at home. 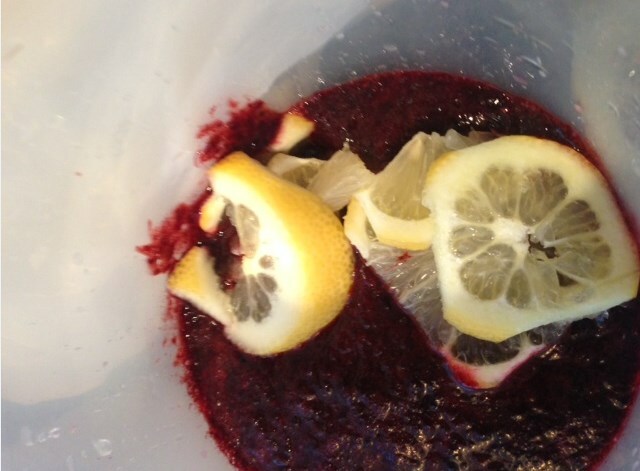 It has great blackberry flavor with just the right amount of sweetness and just enough lemon to make sure it's not too tart. Plus it's kid & adult approved! 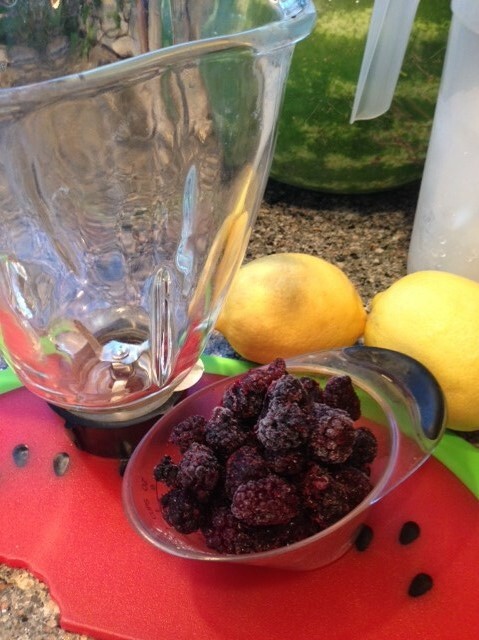 Put 1 1/2 cups of frozen blackberries into your blender with the juice of 2 lemons (not 3) and two cups of water. 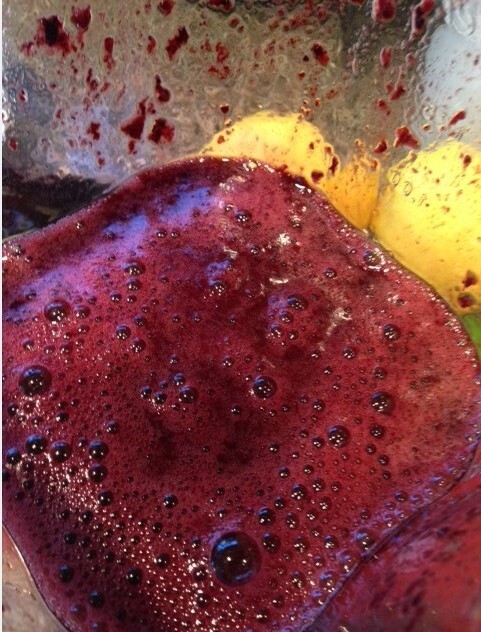 Blend for 1-2 minutes till the berries are completly blended into pulp. 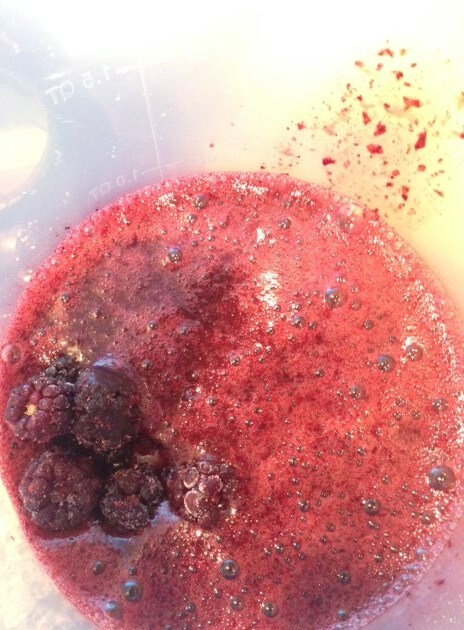 In a large pitcher, add the blackberry pulp and mix in 1/2 cup of frozen blackberries and 1 lemon cut into slices. Final step, add Berry Lemon mixture to pitcher, add cold water with sugar. Mix. If you need a bit more water, add one more cup of cold water (depends on how sweet you want it). For this month's Leftover's Club, I was paired with Sarah from The Self-Trained Chef. 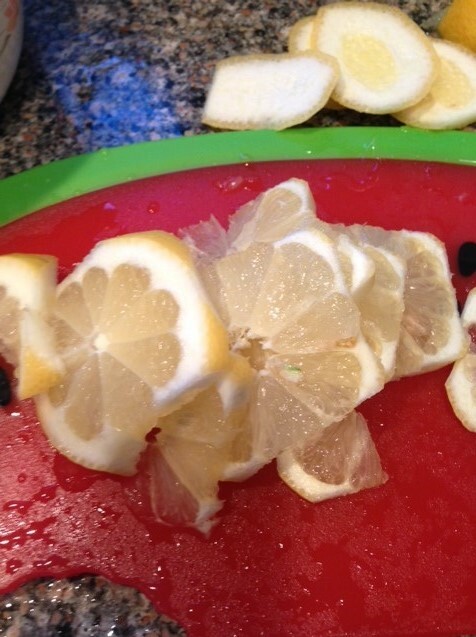 Sarah has a wide variety of great recipes on her blog. She most recently made this homemade Rosemary Focaccia which I have been dying to try to make at home. I'm definitely going to have to give her recipe a try! I knew I wanted to send Sarah some type of cookie bar using my favorite Ghiradelli Bittersweet Chocolate Chips, but I wanted to make them extra special by using some ingredients I had on hand - leftover Dulce de Leche from these Mini Churro Cheesecakes I made recently for a friend's baby shower and some toffee chips I had in my pantry. To counter balance the sweetness of the bars, I sprinkled sea salt on top for just a slight touch of saltiness. Sweet + Salty = Delish! Line a 13"x9" baking pan with non-stick foil (or spray regular foil with non-stick cooking spray). Make the brown butter by placing the butter in a sauce pan over medium-low heat. Allow the butter to melt, swirling the pan frequently to prevent burning. Cook, swirling the pan occasionally, until the butter stops foaming and golden brown bits form on the bottom of the pan. Watch carefully, once the butter starts to brown it can burn very quickly. Pour the brown butter into a small bowl and allow to cool for 20-25 minutes. While the butter is cooling, preheat the oven to 350f. Combine the flour, baking soda and salt in a small bowl and whisk to combine. Set aside. In the bowl of your electric stand mixer fitted with the paddle attachment (or using your hand mixer) cream the cooled brown butter, granulated sugar and brown sugar together at medium speed until well combined (approx. 2 minutes). Mix in eggs, one at a time, at low speed until well combined, then mix in the vanilla extract. Add the dry ingredients and mix on low speed just until combined. A few remaining streaks of flour is ok. 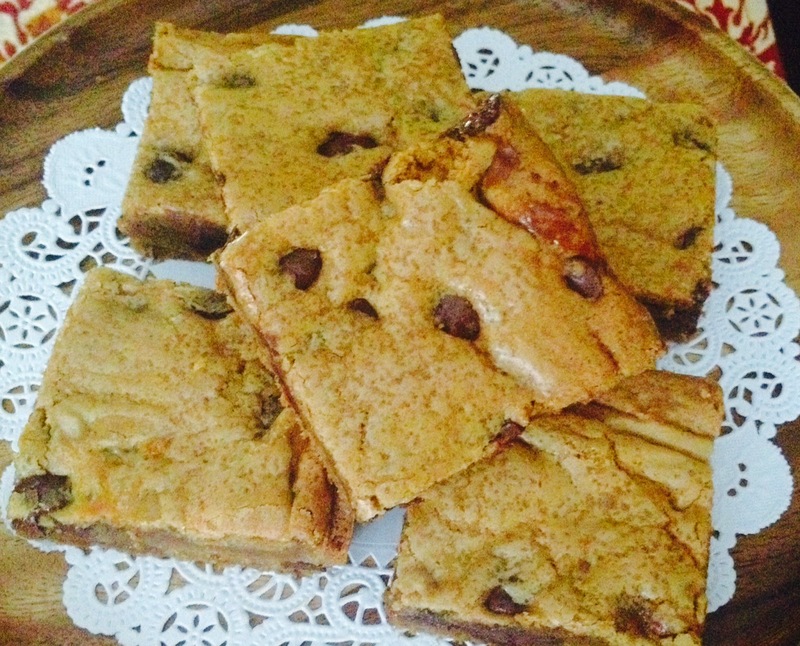 Fold in the chocolate chips and toffee bits by hand using a rubber spatula. Spread half of the cookie batter into the prepared baking pan. Place the Dulce de Leche in a small bowl and microwave for approx. 10-15 seconds just to loosen it up. Stir well. Dollop the Dulce de Leche over the cookie batter in the pan, then carefully spread into an even layer (the dough may not be completely covered which is ok). Dollop the remaining cookie batter over the top of the Dulce de Leche and spread carefully. Sprinkle the top with the coarse sea salt. Bake approx. 25 minutes or until light golden brown and set. Remove from the oven and place the pan on a cooling rack. Cool completely, then remove from pan & cut into bars. Store leftovers tightly covered at room temperature for up to 2 days.